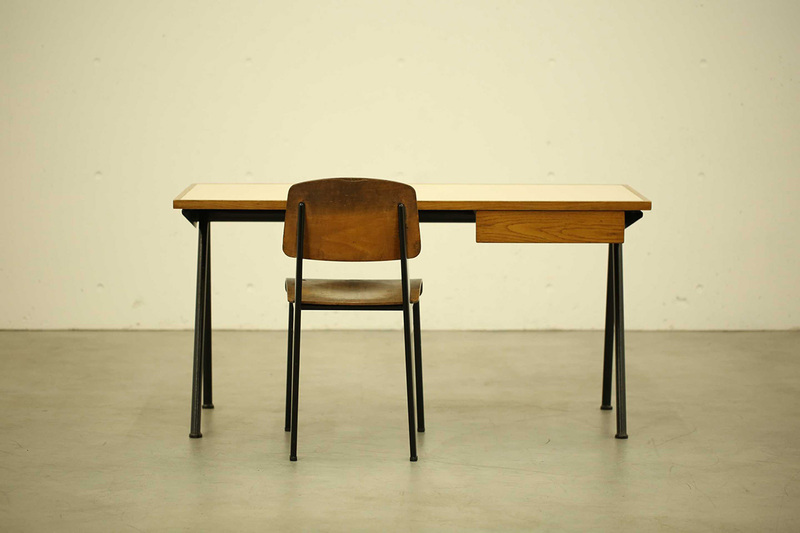 A compass desk from Jean Prouvé is one of the oldest furniture I have. I purchased it in Paris around 17 or 18 years ago from a gallery called Patrick Seguin. It was used as a cashier’s desk at “green”, my previous brand’s store. Today it’s used for multiple purposes. It’s also used by make-up artists during photoshoots. When purchased, Prouvé`s pieces weren’t as expensive as today, the shipping cost, packaged in a wooden box from France to Tokyo, was equal to or more than that of the desk itself. “Things that fit naturally into an environment and provide comfort; timeless and unyielding to trends” This was the answer given without hesitation by Hideaki Yoshihara, who designs for HYKE together with his partner Yukiko Ode, when asked about his criteria for “good design” in products. I see, touch and wear the clothes from Hyke: that’s it. His answer convinces me. Same goes for their office space where the interview was held. “From a creative perspective, there should be an indirect influence from products around us. After all, we surround ourselves at work with things we chose”, says Yoshihara. They moved into this new office, which used to be a photo studio, in 2016. A renovation was commissioned to interior designer Kazuya Sasaki while leaving its original functions and elements of the former studio. When they decided on the place, was when this beautiful space for the two to realize their vision actually completed. `It’s better for us to work in a comfortable environment. Office is where I spend more time than at home. So I believe there is something positive about being in your favorite space surrounded by your favorite products. The reason for making the new office was because we wanted to broaden our expression by digging deeper and elaborating. We make visuals and presentations here. The idea of expressing well thought-out things was very attractive to us. There is a mixture of old and new furniture in this industrial space, but the style is consistent. `I like simple designs that can be used I for a long time, as well as something that’s tough, easy to use and has nice quality to it`.When asked about his favorite product designers in particular, Yoshihara mentions the likes of Le Corbusier, Charlotte Perriand and Jean Prouvé. Along the same lines or maybe even higher, he is attracted to the anonymous designers who produced workwear and military uniforms. “I have a mug that I use on daily basis from the U.S. Navy produced by Corning. The color and the texture of this milky glassware is amazing. 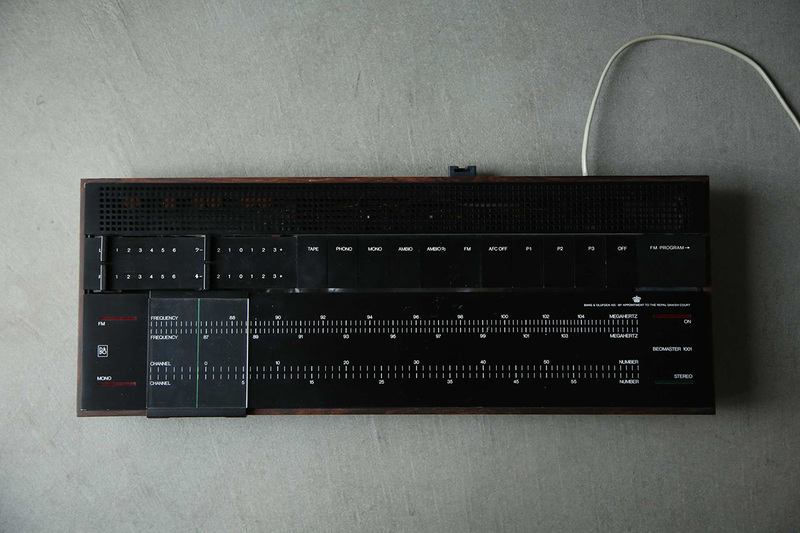 You can find out who founded the company, but it`s difficult to know who handled product design. I`m fascinated with designs that come out of necessity and function while fully utilizing available technology of its time.” This concept links to Hyke`s creative philosophy as well. True to the brand’s core concept “HERITAGE AND EVOLUTION”, their clothes are products of evolution based on the history and heritage of apparel peppered with HYKE’s sensitivity. ` When I was doing “green”, we had a strong theme for each season and I was designing accordingly. But since I have founded Hyke, I’m not too bothered by that. My inspiration source now is design or style that existed in the past. We focus on what makes used and vintage clothes special and filter it through our lens to push it forward; we want to test the limits of our unique expressions. Then we put layers of what we find interesting on top of that, as well as contemplate on our next step or rethink the pattern once more…it’s like updating while reconstructing. Expressing identity through HYKE’s vision. Hyke has collaborated with Adidas Originals, Mackintosh, and The North Face. How is “Hyke-ness” being expressed in creation with historically established brands? “Some parts are designed in a broader scale and some small; but we spend the same amount of time on both. The design process is more about fine tuning rather than building up. The material, style and design from The North Face has always reflected state-of-the-art technology as an outdoor sports clothing brand. I may be inspired from their archives, but the priority is to apply contemporary sense and technology together with Hyke’s philosophy and design. We think that this allows us to create a new type of daily wear for today. Fine tuning what’s given by sprinkling HYKE’s vision like seasonings – and how much you sprinkle it – leads to the right amount of added HYKE-ness. Such adjustment of fine tuning fascinates fans of both brands; because fashion is a form of expression and communication. `The ideal would be to input what we want to suggest or include in the season’s collection through extremely simple, minimal designs and communicate it to others. I like it when our inspiration source and ideas speak out to customers through a single garment`. That is indeed ideal. Hyke turns their ideality into reality, and successfully communicate that to people who encounter their clothes. I like audio series from Bang & Olufsen when Jacob Jensen was designing. I found this vintage BeoMaster 1001 while searching for one for my previous pressroom. I can not recall the name of the shop, but it was a shop in Shibuya, specialized in vintage audio products. I am fascinated with some of the 70s audio designs, which is the time when this amplifier was released. Out of many others, this one was my choice.